From April 24-27, 2018, 15 citizen election observer groups from 11 countries, including 10 GNDEM members, convened in Belgrade, Serbia for an academy on information and electoral integrity through open election data analysis and monitoring the spread, prevalence and scope of disinformation during elections. 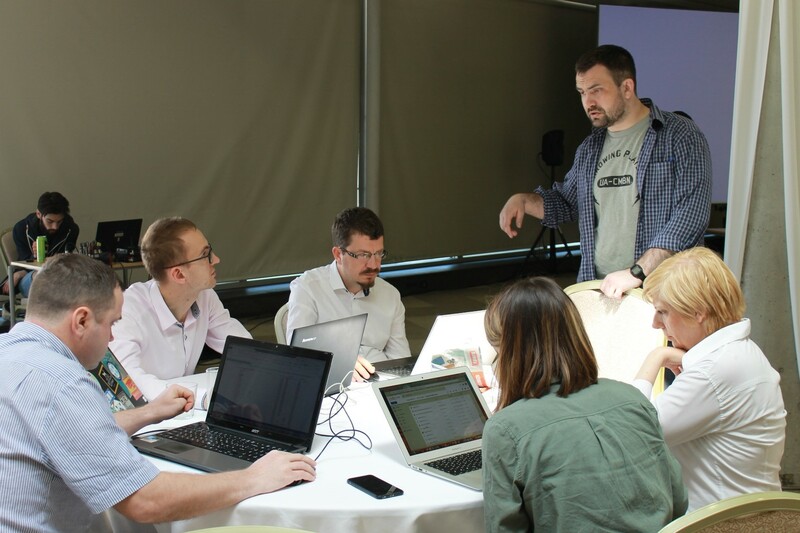 The four-day academy included discussions on methodologies for monitoring disinformation in traditional and social media, methods for using open election data as part of election observation efforts, and various tools and skills for opening and analyzing election data to enhance fact-based findings. GNDEM members identified these issues as highly important to electoral integrity following a similar academy in 2017, and the peer-to-peer learning opportunity allowed members to share recent innovative approaches and learn from one another. GNDEM members who participated in the academy are: Society for Democratic Culture(Albania), KRIIK Albania Association, Coalition for Free and Fair Elections (Albania), Citizens Association MOST (Macedonia), the Monitoring Center CEMI (Montenegro), Pod Lupom(Bosnia and Herzegovina), the Center for Research, Transparency and Accountability(Serbia), Center for Free Elections and Democracy (Serbia), the International Society For Fair Elections and Democracy (Georgia), Civil Network OPORA (Ukraine), Promo-LEX Association (Moldova), and Coalition for Democracy and Civil Society (Kyrgyzstan). The academy began by taking stock of disinformation in elections, including what tactics are being used, how it manifests in traditional and online media, and how it impacts the integrity of electoral processes. Participants highlighted challenges they have encountered in monitoring, mitigating or combatting disinformation. The Center for Research, Transparency and Accountability (CRTA) in Serbia highlighted their efforts at media monitoring and fact-checking around the country’s most recent elections, and how they formulated messages aimed at countering false or misleading information. The International Society For Fair Elections and Democracy (ISFED) in Georgia discussed how they were structuring and designing their methodology to monitor social media ahead of the presidential election this October, using new tools developed to monitor and analyze the large amount of data associated with social media postings. The academy also focused on the use of open election data, and how advocating for and using official data can be a powerful tool to counter disinformation and misleading content. Transparent and accessible data can help election management bodies combat rumors while increasing citizen observers’ ability to fact-check information. Participants learned about tools that can be used to convert data from into open formats or that can be used to extract large data sets, and were able to practice using such tools to analyze real examples of datasets that would benefit and enhance their observation efforts. Drawing on the Open Election Data Initiative’s Election Data Academy, participating citizen observers learned new techniques and tools for analyzing common election data, such as polling station lists (you can test you knowledge of data analysis by going through the modules here; also available in Spanish, French, Burmese and Arabic). At the conclusion of the academy, each participant identified specific points of action that they will take back to their observer groups to enhance their respective election monitoring efforts. As new challenges and tactics are used by those seeking to undermine the credibility of electoral processes, GNDEM members must work to adapt new methodologies and incorporate new tools into their monitoring efforts.